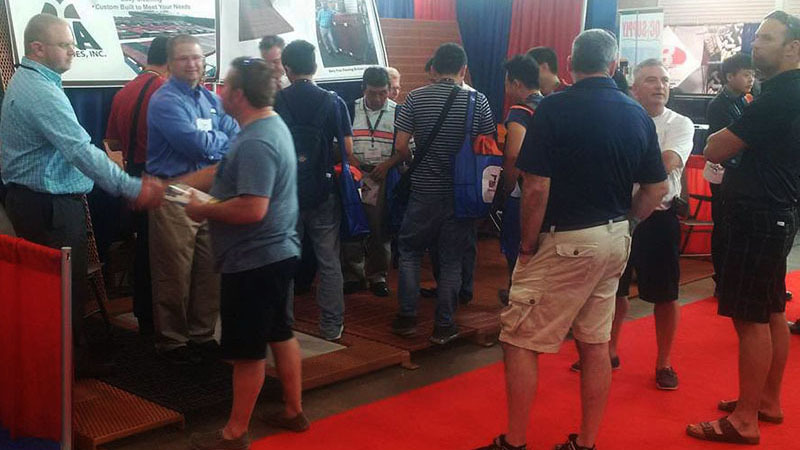 Visit with us at one of the upcoming trade shows! Plan now to attend the Dairy Calf and Heifer Association (DCHA) Annual Conference, April 9-11, 2019, at the Madison Marriott West, in Middleton, Wisconsin. 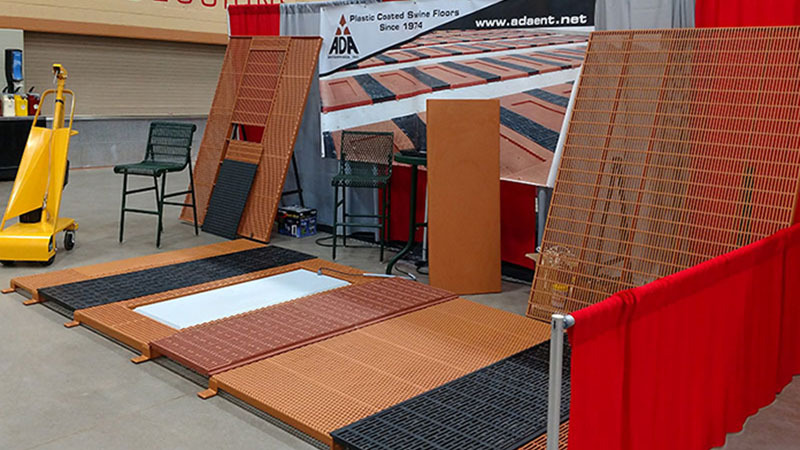 The Dura Bilt Calf Stalls will be featured at the show in addition to Dura Trac Calf poly-vinyl coated expanded metal and woven wire flooring. 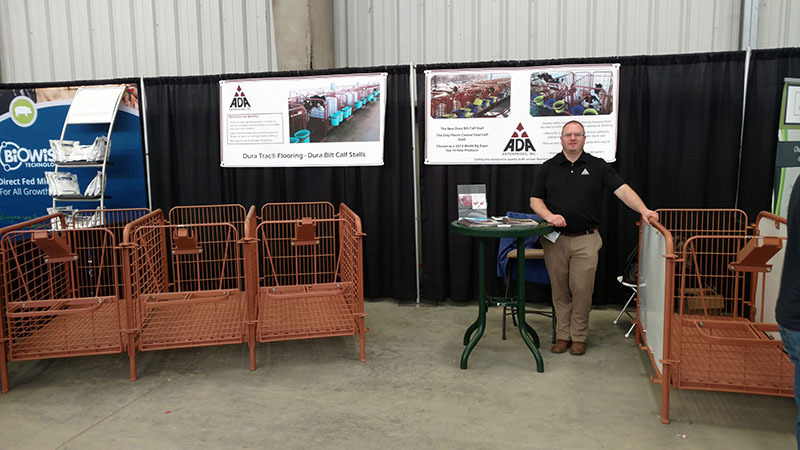 World Pork Expo in Des Moines, IA, June, 2019. 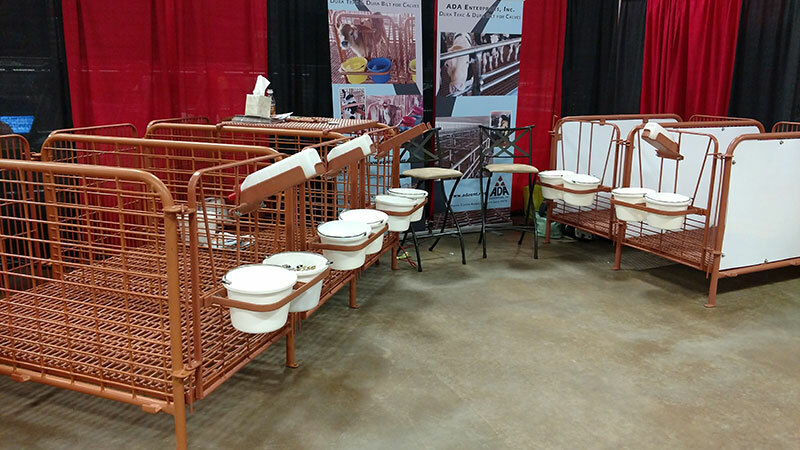 Our booth is located in the Varied Industries building at the Iowa State Fairgrounds. Visit us in booth V584. Dura Trac Clearspan and Original flooring for the nursery and farrowing barn will be featured. Also, many other convenient options to run your operation smoothly will be on display. 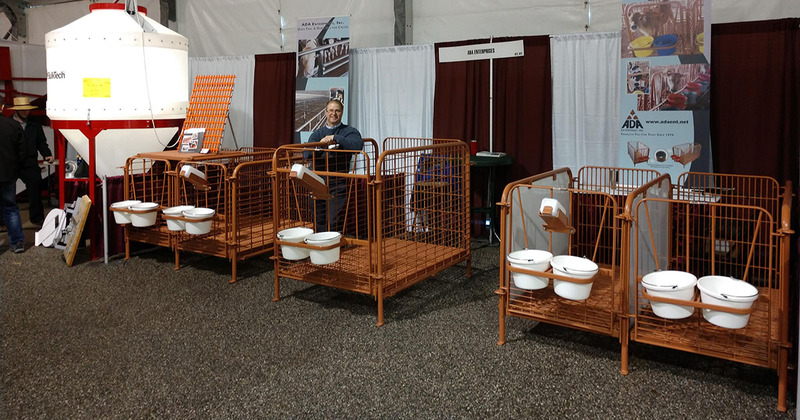 Keystone Farm Show at the York Fairgrounds in York, PA, January, 2020. We will be located in booths 822 and 823. On display will be the Dura Bilt Calf Stall as well as Dura Trac Calf flooring. We hope to see you there! 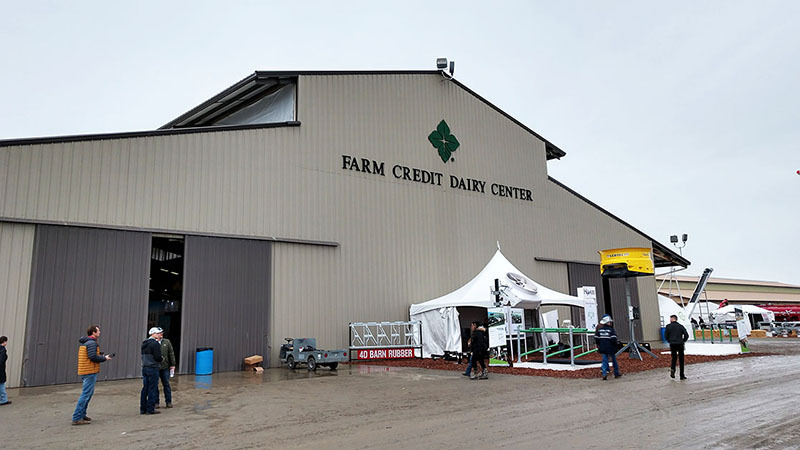 World Dairy Expo at the Alliant Energy Center in Madison, WI, October 1-5, 2019. Stop in to discuss your dairy needs. 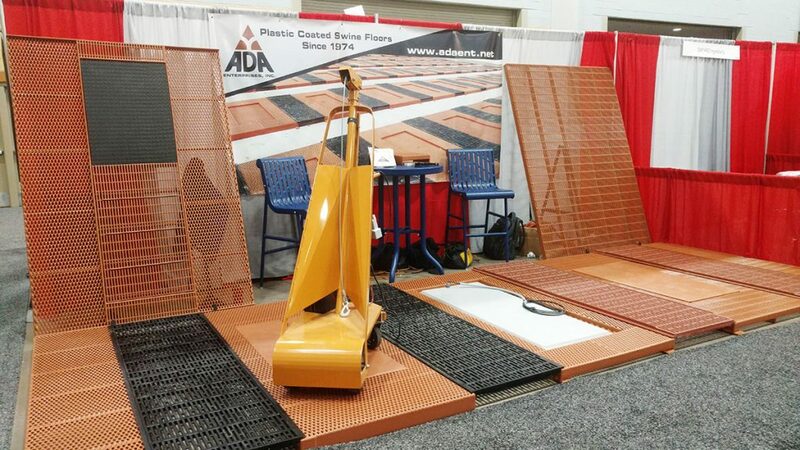 In addition, see first hand the Dura Bilt Calf Stall and our poly-vinyl coated Dura Trac Calf flooring. We are located in booth AR485. Iowa Pork Congress at the Iowa Events Center in Des Moines, IA, January 2020. 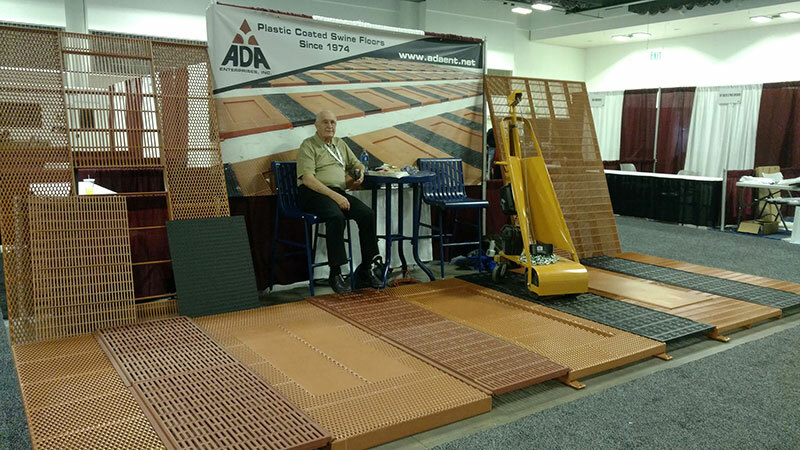 ADA Enterprises, Inc. will be located in booth 1145. Dura Trac Clearspan and Original flooring will be on display. Perfect for nursery and farrowing barns. Minnesota Pork Congress at the Minneapolis Convention Center on February 2020. Visit with Tom and Jake in booth 344. Dura Trac Clearspan and Original flooring will be on display. Also, find out what options are available for custom flooring. World Ag Expo held on February 11, 12, and 13, 2020. Located at the International Agri-Center in Tulare, CA. Dura Bilt totally poly-vinyl coated Calf Stalls and Calf Floors will be featured. Visit with Jacob in booth numbers 6505 and 6506 in the Dairy Center. our trade show schedule, and our products.